I love Baricci Rosso di Montalcino, but not as much as my longtime K&L employee Jim Barr did. One of the founding members of the Consorzio del Brunello, a group of twenty-nine producers who in 1968 created the basis for the Brunello DOC before it became DOCG, Baricci is one of the most popular Tuscan producers we work with directly. Up until that time most Brunello producers didn't even bottle their wine, but rather would sell in demijohns or large containers for bulk. 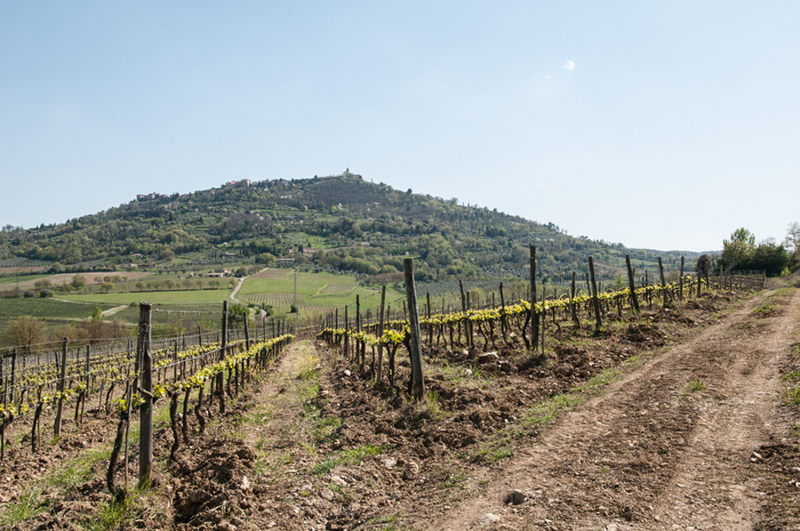 Nello Barrici was born in the town of Montalcino and his family bought the estate in 1953. The property sits on the southeast corner of the Montosoli hill, which is part of the Versante Senese—a slope in the region that runs towards Siena. They make 1500 cases a year of Brunello and 1500 cases of Rosso di Montalcino, all from estate fruit. Baricci could sell 100% of their wine as Brunello, but they still make a Rosso due to maturation and space issues. For decades, now, I have been regularly advising customers who collect and maintain a wine cellar collection to keep records of what is in that collection. It is wise and creates less frustration, particularly if you ever need to stay on top of what needs to be drunk now or, if damaged, information for any insurance company. And, I have been, over that time, thanked by many of you who have done this. Well, can you deduce who has essentially seldom, if at all, done this during the last four decades? If you conjured up a belief that it might be Jim Barr, you have hit the nail on the head! Several months ago, I decided that I really needed to deal with this "problem," and as quickly as possible since I turn 69 in a few months and I was looking at around 200 cases+/- in my temperature control wine room. And, I am still collecting and making the stuff. As my wife, Christine, keeps telling me, "We’ll never be able to drink all of this." I have constantly pointed out to her that when the time comes (she is much younger than I am), call K&L and sell to them whatever you don't want. As I have been organizing and doing neck labels four weeks, I have come across some stunning wines that I have forgotten about as well as wines that should have been consumed twenty-plus years ago. One of the wines that I discovered several weeks ago was half a case of the 2006 Baricci Rosso di Montalcino, one of the first vintages that Greg St.Clair started importing from this small estate. My immediate reaction was that this wine, which was absolutely gorgeous in 2008 at release, would be way past its prime today. I opened a bottle that night and was totally blown away by how amazingly great this wine had become – it was aged Brunello at its best. The 2014 reminds me of that young 2006, with a lovely, medium-deep ruby color with a pinkish rim, the nose is opulent showing distinctive scents of violets, plum, blackberry, and anise fruit with a noticeable cedary to forest floor undertone, all of which carries over to a broad, balanced, viscous, complex set of flavors. The finish with this Gem is deep, long and warm, and, although will age as long as the 2006, it drinks great right now.